This is my review of the audiobook. For thoughts on the story and writing itself, see the original review on my blog. I won't link because it's pretty recent anyway. 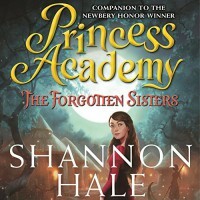 I won this audiobook through Shannon Hale's Twitter giveaway. I was particularly excited, because as anyone close to me will know, I want to get into narration myself and am always looking for more role models. First of all, if my minimal research on Audible is correct, this was Mandi Lee's first audiobook. Good for her! She holds her own, and with a book this widely-anticipated by such a well-loved author, that's impressive enough. What a breakthrough to have. The audio quality is decent. Not perfect, but unless you're quite sensitive to that sort of thing, you shouldn't have a problem. Mandi Lee's most impressive quality for me is how she manages to create distinct, subtle voices for a wide array of female characters, despite not giving any of them different accents. I don't know if I can convey how difficult that is. It's one of my struggles as an aspiring narrator. If I want people to be able to tell characters of the same gender and a similar age range apart, I have to either give one an accent or exaggerate a vocal tic to a point where it's kind of unrealistic. But in this narration? No problem. Most of the time, I could tell which of the girls was talking without hearing the dialogue tag. The male voices fall a little short. There's not enough difference, whether in pitch or vocal quality, between Peder and Miri or Jeffers and Miri for me to be positive when a man is talking until I hear the dialogue tag. But this story isn't about the guys. So while that's not ideal, it's certainly forgivable. There are also songs at the beginning of each chapter which are just read, not sung. Normally, I'd want a tune to go with them, but because of the sheer amount of chapters (and therefore songs) in this book, again, that's forgivable. Finally, props to Lee for putting a lot of emotion into her reading. I cannot tell you how frustrating it is to get to an intense, emotional passage in a book only for the narrator's voice to sound distanced, impersonal, and/or indifferent. Mandi Lee doesn't have that problem. She sounds like she cares, so the characters sound like they care. In a passage toward the end of the book, when Miri is losing her temper, shouting and on the verge of tears, her dialogue sounds angry and on the verge of tears. The performance there is more intense than you'd hear in most audiobooks, because I think a lot of narrators (myself included) forget that narration is about acting and not just reading. And yet, despite the effort Mandi Lee puts into her reading, she manages to avoid the opposite problem of making the listener wonder "Does she think I'm two years old?" So, tl;dr, I definitely recommend both the book and its audio counterpart! As with my last Robin McKinley reading experience, I've come away with mixed emotions. First off, I want to say that I admire Robin McKinley. I do. 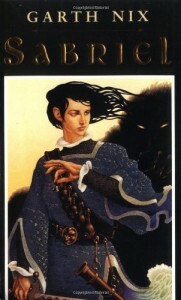 She inspired some of my favorite authors, she's got a lot of solid books to her name, I don't think it's exaggerating to say she's changed the way people look at female characters in fantasy genres--even my oldest brother, not the most feministic guy I know, proudly professes to having read most of her books and enjoying them. And I wanted to love Chalice, much as I wanted to love Hero and the Crown. I ended up liking both, but both stories fell short of the "love" factor for me, and I'd like to explain why. 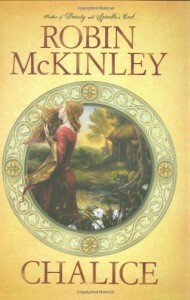 Robin McKinley is known for a few fairy tale adaptations. I haven't gotten around to them yet, but I do wonder if this works against her a little. Think about how fairy tales go. The writing is impersonal, character development takes a back seat to whimsicality, and they're not quite book material. Stories, yes. Tales, yes. But not warranting complete novels unless you do some serious tweaking. This summarizes my main problem with Chalice. In theory, it was all there. Willowlands has a culture and a troubled past. Cool concepts like the new Master being too much Fire and not enough human that he can scarcely accept his new responsibility. The many responsibilities of Circle members, Chalice in particular. How there can even be different kinds of Chalices, whether water, wine, honey (like Mirasol), or in one case a blood Chalice? I'd want to read a book just about her! That's imagination. It was the thought of what McKinley could do with this that kept me reading. But it felt incomplete to me. We don't learn much of the meaning behind Chalice's bindings and ceremonial rites (though this may be because Mirasol has to piece a lot of it together without help; maybe we're meant to share in her confusion). All the Circle members except the Seneschal, the Master, and Mirasol, are titles and nothing more. A lot of other characters are just names, and with no personalities to identify them, they get mixed up easily. There were so many paragraphs spent on varieties of honey and Circle ceremonies that I wish were dedicated to character development, or explaining why things worked the way they did. Would Mirasol's bindings at the end have worked if her bees hadn't killed the Heir? How did the bees make the Master human again??? Mirasol and the Master didn't have enough scenes together for the implied marriage at the end to feel satisfying--and didn't the book Mirasol read say that a marriage between Chalice and Master was not just unusual, but forbidden? That a Master could not touch his Chalice? Did I make that up? Also, while the writing is pretty and McKinley obviously has her own style figured out, it's not very reader-friendly. Much of the book is told in flashbacks, sometimes even flashbacks within flashbacks, until I didn't understand what the present was. I often say that I have to read some sentences of books multiple times to understand them, but with Chalice that was taken to a whole new level. There were lots of spots that could have used more commas and less flip-flopped phrases. I've found that I much prefer remembering the book to reading it. All this ranting may make it seem as if I hate the book. I don't! It just didn't ever grab hold of me, make me fall in love with it. That said, I fully intend to pick up other books of Robin McKinley's in the future. Even if I feel about them the way I do about Chalice, McKinley at her worst couldn't be bad enough to be considered a waste of time. Reading progress update: I've read 36 out of 265 pages. Because I'm not already in the middle of enough books, apparently. Reading progress update: I've read 60 out of 491 pages. Tentative 3.5 stars for now. My opinions of books tend to go up as my time away from them increases. I read 90% of this novel in a single day, only getting up to stretch or eat, which was all good fun but makes my memory of the middle 400 pages a bit blurred and unreliable. Spoilers under the break. Now, maybe if I had read the first chapter a bit better, this might not have been a problem. My main pet peeve is that almost the entire Part One is just the formation of the fireteam. But Maisie says herself in the first sentence that this is a superhero origin story. I guess that didn't register with me. I thought the main focus of the book would be the astronaut boot camp, so when most of the challenges were skimmed over, I felt cheated, at least until I better understood the purpose of Part One. Like Maisie, I'm confused about my feelings for this guy. I'm still not sure I'm satisfied that they become a couple. I felt like the situation was too messy to justify them trying a real relationship out. And, to tie this in with my first point, the choice to spend the first portion of the book developing their romance wasn't a choice I would have made. It sent the wrong message to me about what kind of book this would be. 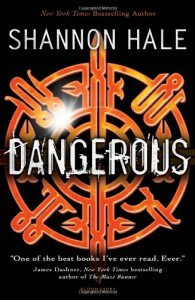 Dangerous is a superhero/sci-fi story, not a romance novel, and it got so much better when the focus went back to the sci-fi stuff. There's something else I have to mention that, while it didn't take my rating down or up, did influence my reading experience. Then we'll get to the good stuff. Maisie was born without a right hand. I, fun fact, was born without my left. So I was interested to see a story where a character with a similar disability to mine wasn't the villain (finally!). It's hard for me to say whether the depiction was realistic or not. It doesn't specify just how much of her hand Maisie is missing, and that can drastically alter someone's mobility. So there were some things she had a hard time with where I thought, "But I can do that! ", and others where I thought, "Hang on, how is she doing this one-handed?" 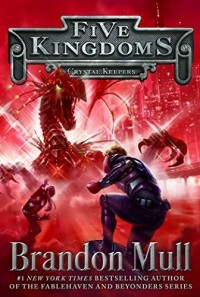 I'm also not sure if I just grew up around nicer people than Maisie, but I haven't encountered as much teasing as she did throughout the novel. Not trying to say this was a poor portrayal of a disabled character--I found it interesting is all. And I appreciate Shannon Hale actually trying. There was one moment where Maisie first got Fido, the robotic prosthetic arm, and said something about how it wasn't made to look normal, but to look cool, and that resonated with me. I've always avoided a prosthetic because, for my particular disability, it seems like they're more about having a "normal" appearance than serving a helpful purpose. Jacques grew to be my favorite. I'm not sure as to why. But his death made me quite sad. I also liked most of the other characters. Wilder was confusing for me, as I've said, but I could see why Maisie was drawn to him and sometimes felt the pull myself. Howell was endearing and frightening in her oddness. I liked it whenever we got to see more of Luther and kind of rooted for him. Dragon's was another sad death--I had hoped it was him who gave Maisie the parachute. 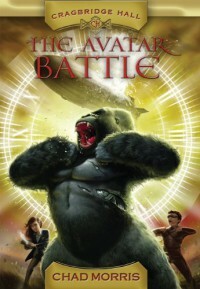 The whole premise was creative, or at least it was to a reader who isn't familiar with much sci-fi. Shannon Hale handled the alien thing much better than most. She actually gave them *gasp* a reason behind invading? And acknowledged their differences in anatomy and biology? The concept of the tokens was cool as well. Once I got to the part where the fireteam discovers their powers, I devoured the book. Sometimes the writing felt a bit choppy. I had to re-read passages more often than I usually do. 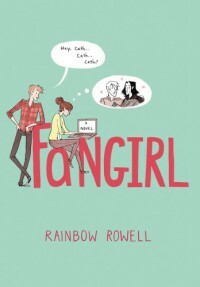 However, the descriptions were so unique and well-crafted that, while I couldn't relate to Maisie about a lot of things, I cared about her and understood what she felt. In fact, Maisie is just an empowering character. 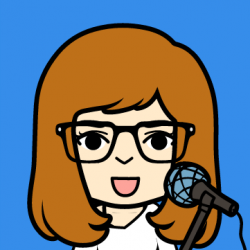 One-handed, half-Paraguayan, science-loving girl? Yes, please! Not to mention I love that she cuts her hair off by the end. Having recently chopped several inches of my own hair, I have a soft spot for that sort of thing. Maisie's parents get a shout-out for not only being present throughout the story, but influencing Maisie's actions and supporting her in everything she does. That's so rare in YA. Props to Shannon Hale for all the research she must have done. Crimuny. There's quite a bit of scientific techno-babble, and from what I gather, she talked to a lot of scientists about probable explanations for the technology. It's enjoyable. Seeing that an author cared enough about a story to learn more about science instead of just writing whatever she pleased with no thought of reality... I appreciate it. The more I think about Dangerous, the more I like it. Despite my ramblings about points 1 and 2 at the beginning, there was so much I loved or enjoyed. I want to own this one eventually. Maybe I'll bump it up to four stars if the feeling sticks. Just a quick review. I may come back to it later, but judging by the vast amounts of "reviews" from me that still say "more to come later", it's no guarantee. As always, Shannon Hale's prose doesn't disappoint. She always has such unique metaphors and descriptions. It's a pretty read. The plot can be predictable sometimes, emphasis on the sometimes, due to the sheer number of princess stories out there already, but that's forgivable. As Hale said herself at a recent book signing, "It's not the idea. It's how you tell it." I didn't attach to these characters as much as others of Hale's, but they're likable and solid enough. There are some fun new additions like Fat Hofer, and of course Astrid, Felissa, and Susanna. 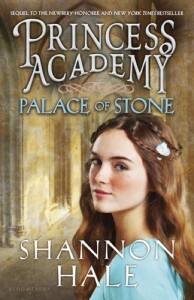 The thing that sticks out to me about Princess Academy is the actual academy part. So many princess movies have girls "learning how to be princesses" when it's really just learning how to look pretty and wave right. 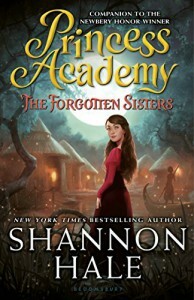 Olana, however, teaches the academy girls about things like commerce and diplomacy and history, which Miri now has to pass onto the swamp sisters. Bless these books for that if nothing else. Reading progress update: I've read 7 out of 491 pages. Page number not exact. I wanted to see what the writing was like while I took a quick break from Dangerous, so I read the prologue. Definitely interested enough to come back to it. Reading progress update: I've read 280 out of 400 pages. I was worried I'd end up disliking this one when I first started it. I love Shannon Hale as a person and as a writer, so I didn't want that to be the case. Thankfully, the book picks up in a major way at the end of part one. If those first hundred pages were as good as the middle is now, it would get five stars. Just finished this today. I'll try to type out my thoughts tomorrow. The transition from Goodreads deleted all the spoiler tags in my reviews, so some of my reviews that don't have the spoiler warning specific to this site will still have sensitive information. I might go through and fix this one day, but for now, be warned. Part of the reason I didn't enjoy this book as much as the first is because some Amazon reviewer didn't give a spoiler warning. So, consider this my second warning to make up for that. Not decided on whether to give 2.5 or 3 stars. We'll see. 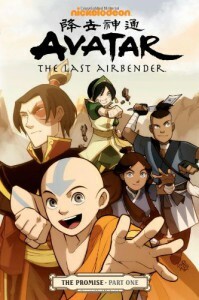 I liked Avatar Battle well enough. It's on about the same level as the first book. I've met Chad Morris in person before, and he's a funny guy who's got some creativity up his sleeve. That shines through in the story. The plot is compelling. I stayed up late a few nights reading it, because even if I disliked other aspects, I was curious enough that I wanted answers. And I like a lot of the concepts--avatars, the Chair in Abby's English class, etc. Rafa was a good character. Derick's second trial especially holds more meaning if you know about the author's family situation at the time he started writing this installment. The writing itself is the weak point. There are a lot of moments where I felt characters/the narrative said too much outright instead of letting implications be enough, or when I had to stretch myself to believe how the characters were talking. 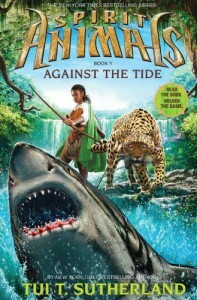 This may be a product of Chad Morris being a fairly new author, or not enough editing, or maybe I'm just outgrowing middle grade fiction? Hopefully not the latter. Despite the flaws I found, I could easily see a class of 8-12 y.o. kids eating this series up, and that's what matters. It has some fun historical and educational aspects to it as well. So while this may not be the first series I'd recommend to my peers, to a young kid, or a teacher looking for a read-aloud? Definitely. 3.5 stars. The "sweetie" is what took it down for me. That, and it's so short! I wish my library had all three in stock so I could be entertained for more than like ten minutes.